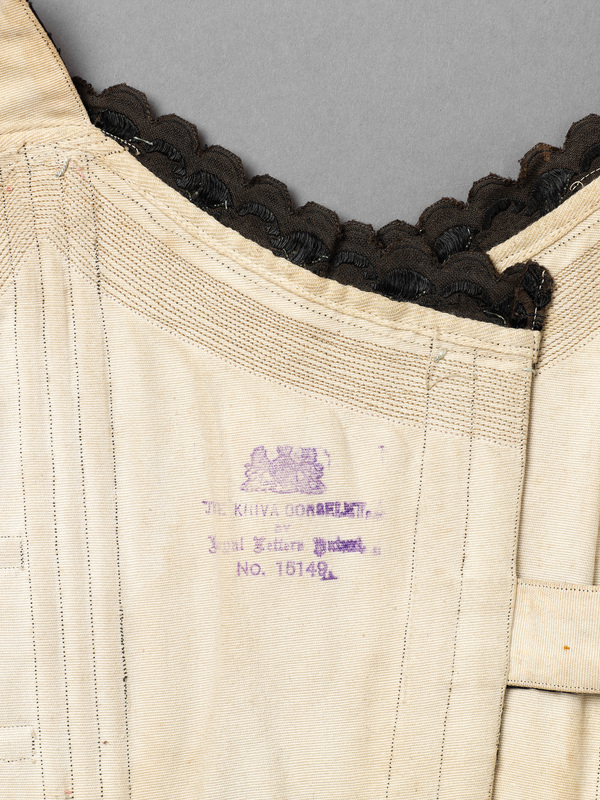 The lining stamped with ‘The Khiva Corselet’ and the patent no.15149. 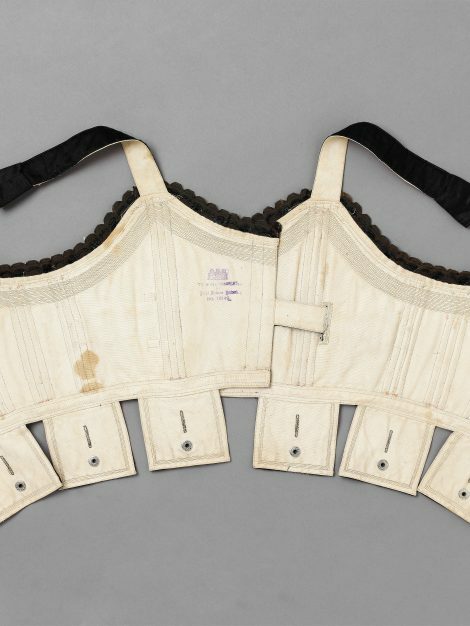 The growing popularity of sport during the late 19th Century, together with the movement against the physical restriction of corsetry, created a demand for foundation garments that allowed for more ease of wear. 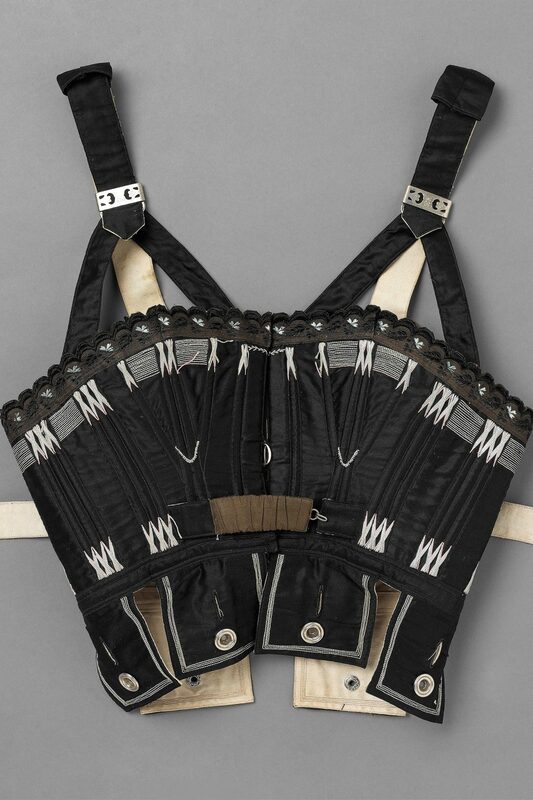 The Leicestershire based corset makers, R.&W.H. 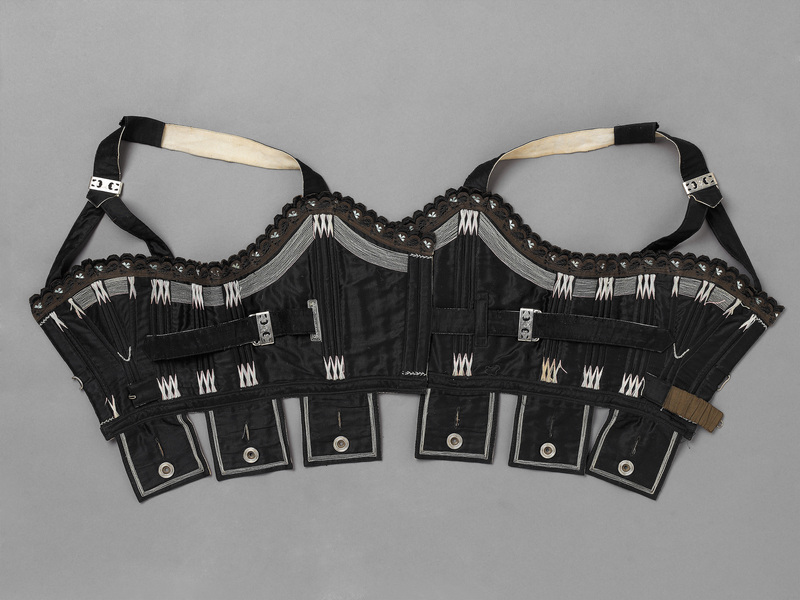 Symington and Co. responded with the Khiva Corselet, named after an ancient city in Uzbekistan, a major trading centre on the silk route connecting Europe and Asia. 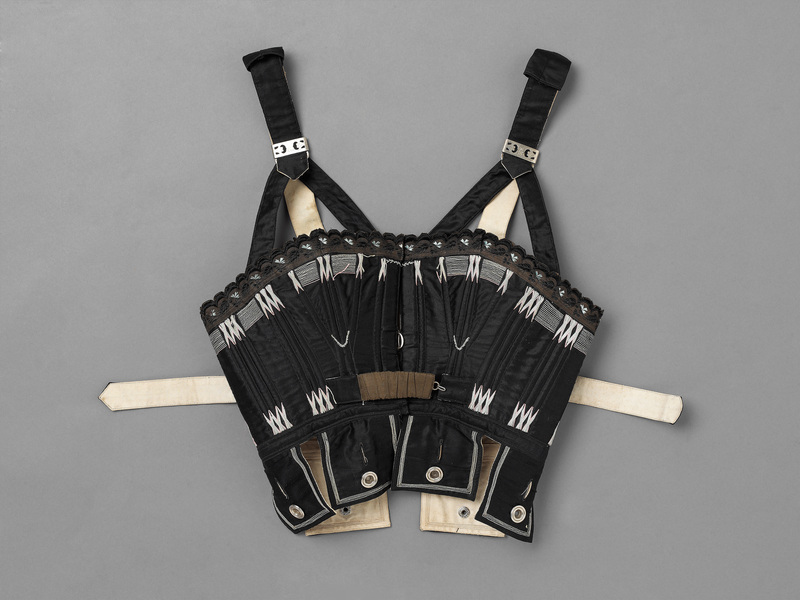 The company marketed the Khiva as incomparable for tennis, cycling, boating, golf and riding, assuring ladies that it was possible to combine an elegant figure with good health and freedom of action, without the need for compression, and only a bust measurement was required when ordering for a perfect fit. 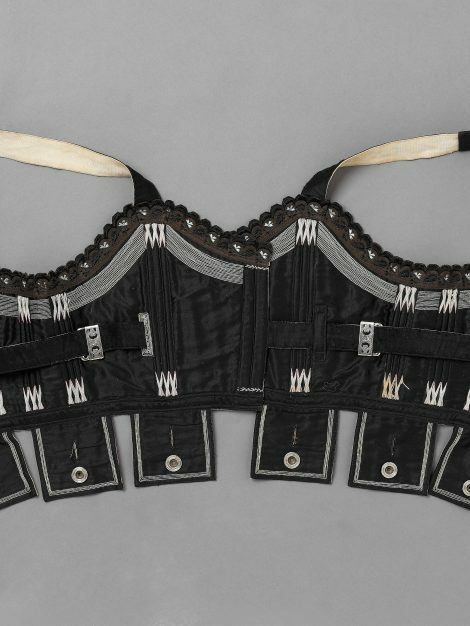 It would seem, however, that the Khiva was not designed to be worn alone, as the tabs anchored it to a lower garment or corset. 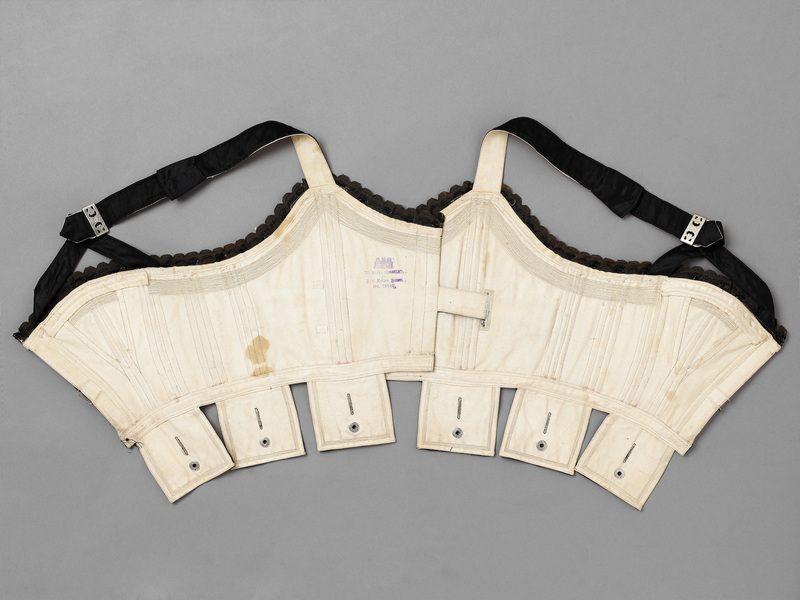 In 1965, at a time when there was an upsurge of interest in Victorian and Edwardian ephemera in the design world, the ceramics designer Susan Williams Ellis used advertising for the Khiva Corselet on mugs and other items for Portmeirion Pottery.